SPANGLER – the Plus of Food Technology. Each potato differs in size, quality and dirt. 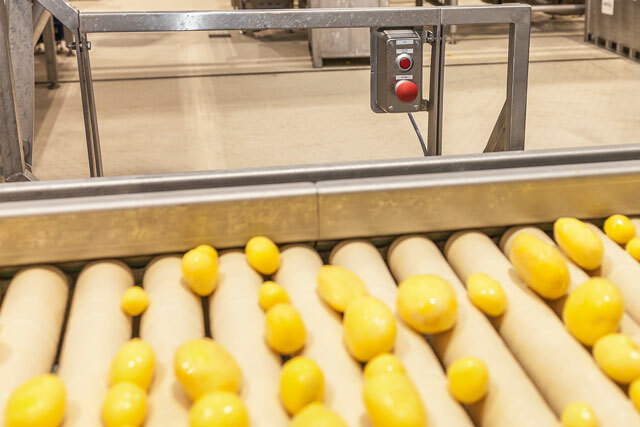 For an automated processing the focus lies on intelligent manufacturing steps and the adherence to hygiene regulations. This also applies to the new manufacturing line of the Bavarian dumplings expert Burgis GmbH from Neumarkt in the Upper Palatinate. SPANGLER has supported the successful family-run company Burgis with the new building of the manufacturing and has realised the electrotechnical plants. The field warehouse, first step of the potatoes after harvest, was planned in a visionary way. In future, a QR code is generated here with which the pre-cleaned tubers can be sorted again to batches. After their arrival at the main plant the potatoes lose their peel in washing and peeling machines before they are processed to dumpling products in up to four manufacturing lines. 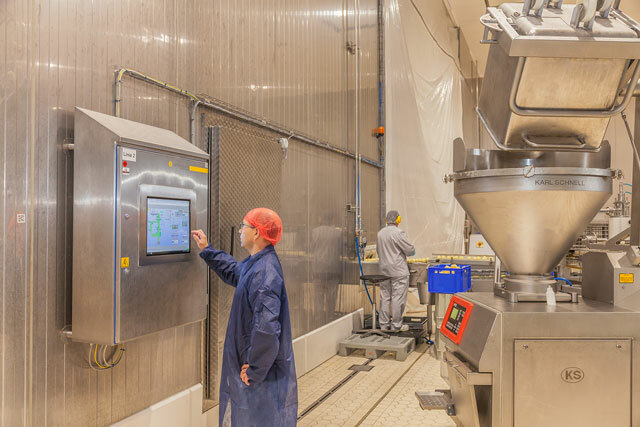 During these processes everything is controlled by a central control system which combines the single machines to one intelligent manufacturing chain. The operation can be handled both via mobile devices or via touch panels which are distributed in the manufacturing. The engineering for this project which means working out control guidelines up to the infrastructure was completely carried out by SPANGLER. The sensor technology distributed in the plant is pluggable via a special bus system, the so-called I/O link. This connection technology is insensitive to electrical interference as no shielded cables are necessary. Furthermore, the maintenance effort is reduced to plug and play as new sensors are automatically parameterised via the IO master. 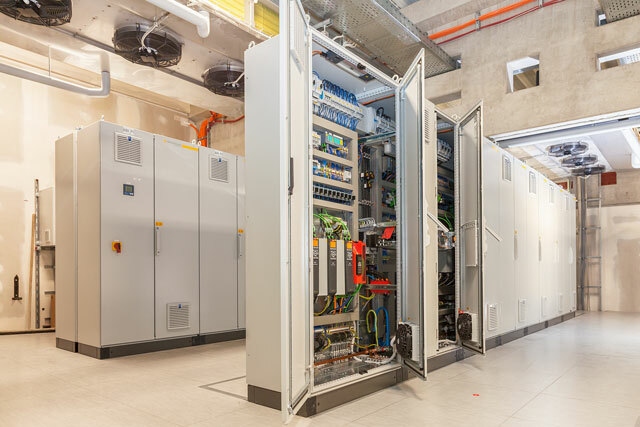 The programming of the logic was made with failsafe Siemens PLCs S7-1515F – 2PN. The service switch, the emergency stop pushbutton and the touch displays were carried out according to IP69K certified models. This is designed for permanent operation in a humid environment and the high-pressure cleaning. A modern production has to bear in mind an acceptable energy consumption. The energy management system set up by SPANGLER records values of current, water, pressure, temperature and water steam. In this way the customer can collect trends, limit values or reports according to his own demand and thus operate the manufacturing more efficiently.